​Now this is a legitimately cool gift- Tea Scented Erasers! Enjoy the calming scents and flavors of tea with the Kikkerland Scented Tea Erasers. 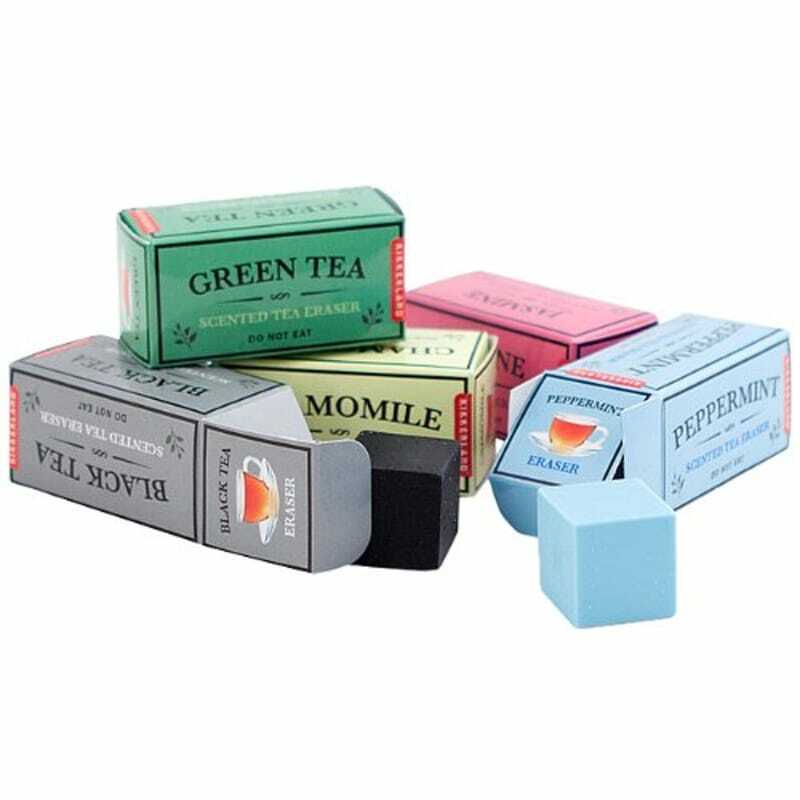 These erasers come in fun “tea carton” packaging and five scents: green tea, black tea, chamomile, peppermint and jasmine.